The Clock is the first film Judy Garland made in which she did not sing. She had specifically requested to star in a dramatic role, since the strenuous shooting schedules of lavish musicals were beginning to fray her nerves. Producer Arthur Freed approached her with the script for The Clock (also known as Under the Clock), which was based on an unpublished short story by Paul and Pauline Gallico. Originally Fred Zinnemann was set to direct, but Garland felt they had no chemistry, and she was disappointed by early footage. Zinnemann was removed from the project, and she requested that Vincente Minnelli be brought in to direct. The Clock is the second film that Minnelli directed that starred Garland. 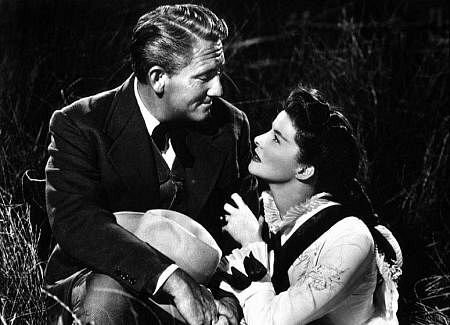 The first was Meet Me in St. Louis (1944), which is one of the great American musicals, a big, Technicolor production with memorable songs and fine performances. It’s worth seeing, even if you’re not crazy about musicals. Minnelli and Garland were involved romantically during the filming of Meet Me in St. Louis, and they were married on June 15, 1945, shortly after The Clock was released. The Clock seems like a deliberate attempt to make a film as different from Meet Me in St. Louis as Minnelli was capable of making. Filmed in crisp, luminous black and white, The Clock is an intimate story of two people. Cpl. Joe Allen (Robert Walker) is on leave in New York City for the weekend. While trying to find his way around Pennsylvania Station, he meets Alice Mayberry (Garland), a Manhattan “girl next door” who works in an office and isn’t initially thrilled that Joe takes in interest in her. She breaks her heel and he offers to help her, but he’s so pushy that it’s a bit of a turn-off. He refuses to take “no” for an answer, following her onto a bus, questioning her incessantly, and attempting to arrange to see her again. He also does it in such a naïve, corn-pone manner that it’s obvious that a polite girl like Alice would have a really hard time just telling him to shove off. Part of the problem, for me at least, is that Walker just doesn’t have the necessary charisma to pull off the “aw shucks” persona the script calls for and get away with it. In any case, after some indecision (and after ignoring her roommate’s advice that the young serviceman she met is “just looking for a pick-up”), she goes back to the Astor Hotel to meet him under the clock where they first met. They spend the entire night together, exploring New York City, and even end up helping a milkman (James Gleason) make his appointed rounds after a drunk (Keenan Wynn) punches him in the face, partially blinding him. Over the course of the night, they fall in love, but are separated on a busy subway the next morning. How will they ever find each other in a city of seven million people? (I don’t want to give anything away, but the way they find each other again won’t come as a surprise to anyone who’s been paying attention.) After they reconnect, Joe asks Alice to marry him, and she accepts his proposal, but they have to run through a mess of red tape to get the necessary documentation to get married immediately, before Joe has to ship out again. The Clock has a lot to recommend it. Garland looks beautiful, and her performance is natural and engaging. Walker only has one mode, “wanting Alice,” but Garland wonderfully expresses confusion, excitement, and ambivalence on her path to falling in love. Also, the film does a good job of playing through the stages of love, from initial infatuation to full-blown romantic love, marriage, and even the quiet vicissitude of the “morning after.” The film looks fantastic. Minnelli recreated New York City on the MGM backlots in Culver City, California, mixing sets with stock footage, but I never realized this while watching the movie, and I live in New York. He reportedly spend almost $70,000 recreating Penn Station, and it certainly doesn’t look like a set. (The original Penn Station was torn down before I was born so I can’t say if it’s perfectly accurate, but it certainly fooled me.) I liked The Clock, and would recommend it to anyone who likes old movies, especially anyone who loves tales of wartime romance, but a more interesting actor than Walker in the lead role might have elevated it to a truly great film. This is a love story, but it’s a melancholy one, especially during its second half. I’m not sure if the sense of sadness that pervades the film is by design, or is due to the fact that both stars were plagued with personal problems throughout filming. Garland became increasingly addicted to the prescription drugs the studio gave her to control her weight and perk her up, and Walker had recently found out that his wife, actress Jennifer Jones, had been cheating on him with producer David O. Selznick and wanted a divorce. Reportedly, Garland would often find Walker drunk in L.A. bars during filming and she would help him sober up during the night so he could appear in front of the cameras the next day. 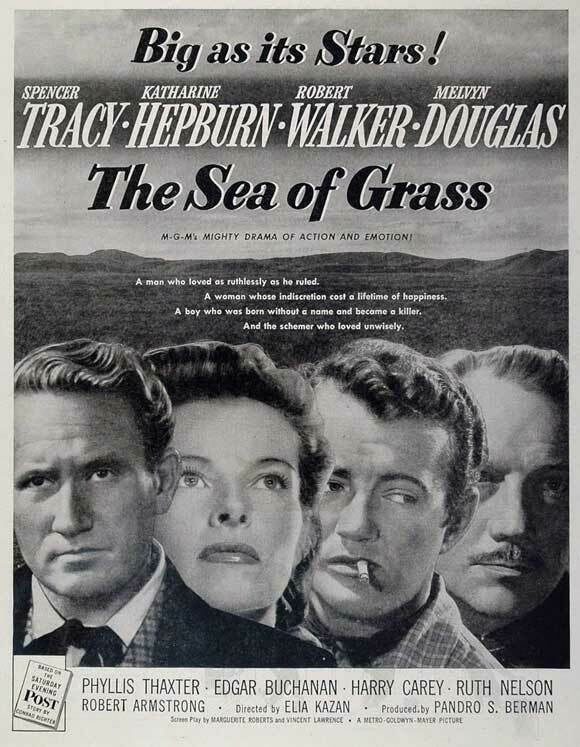 Posted in 1945, May 1945 and tagged Arthur Freed, David O. Selznick, Drama, Fred Zinnemann, George Bassman, George Folsey, George White, James Gleason, Jennifer Jones, Joseph Schrank, Judy Garland, Keenan Wynn, Lucile Gleason, Marshall Thompson, Metro-Goldwyn-Mayer, Paul Gallico, Pauline Gallico, Robert Nathan, Robert Walker, Romance, Ruth Brady, The Clock, Vincente Minnelli, World War II. Bookmark the permalink.